High-quality protein supplement, which contains in its composition micellar casein and calcium caseinate and the addition of a mixture of Amino Shuttle 2 and digestive enzymes. Protect your muscles from catabolism! 410 loyalty points Your cart will total 410 points that can be converted into a voucher of 16,40 PLN. 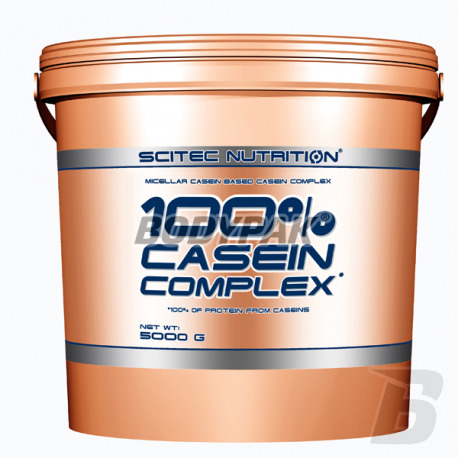 Scitec 100% Casein Complex is a protein supplement, which contains in its composition micellar casein and calcium caseinate and the addition of a mixture of Amino Shuttle 2 and digestive enzymes. 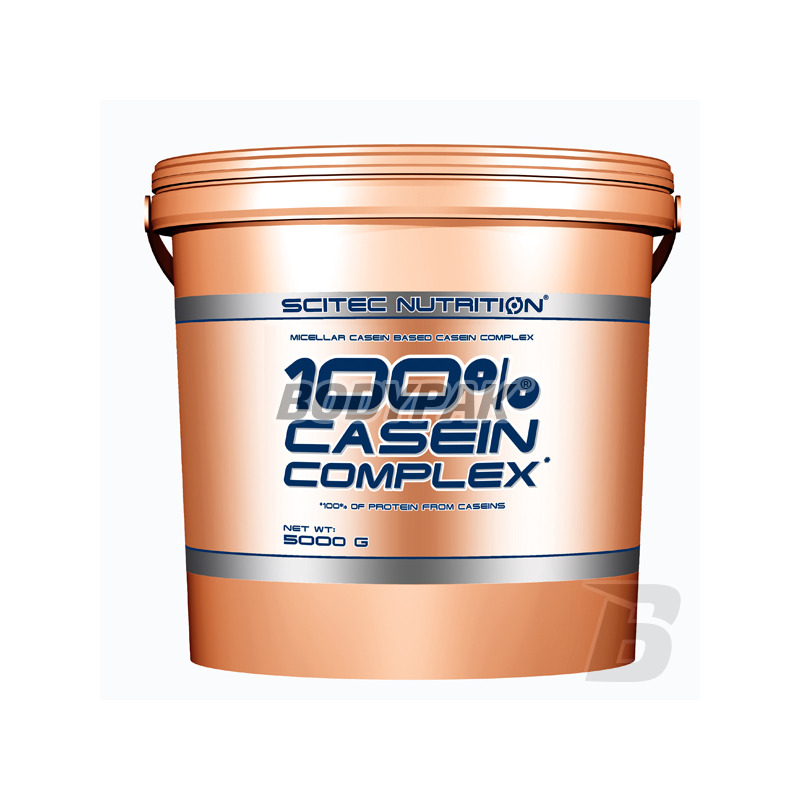 100% Casein is a protein wolnowchłanialne Complex, which provides continuous release of amino acids into the bloodstream up to 7-8 hours. This causes the casein is the perfect conditioner for use before bedtime and when meals are consumed in large intervals (between them). 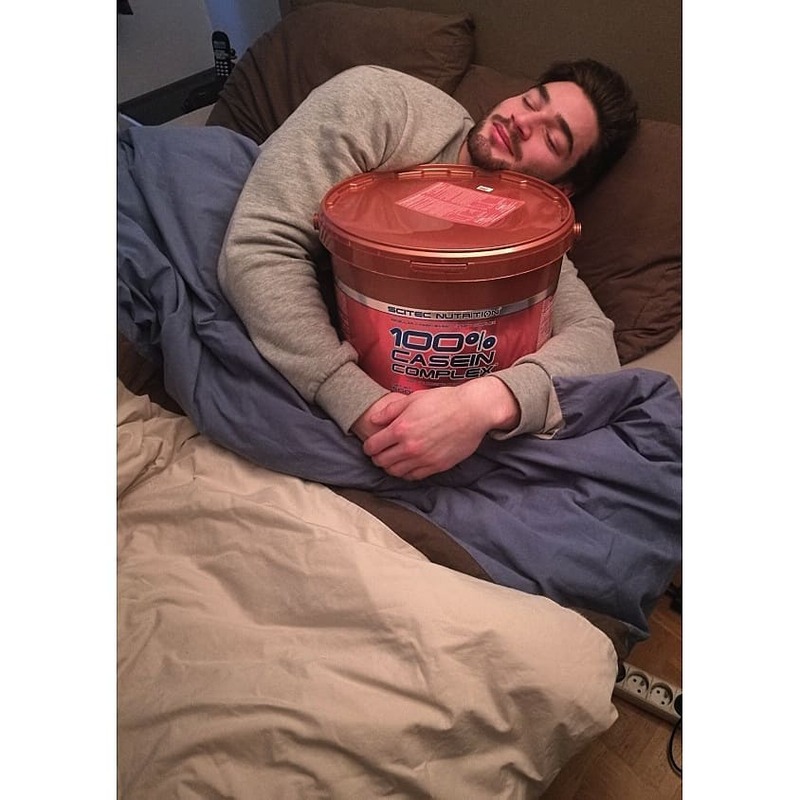 The 100% Casein Complex includes: Micellar Casein - as whey protein, casein, and that is obtained from milk. It is characterized by the most uniform release of amino acids into the blood stream from all protein sources, including the best for the long gaps between meals, effectively stopping the catabolism hours. Slower digestion results, that the casein has the characteristics of more than catabolic rapidly digested whey proteins, and the use of amino acids of the protein night work is more efficient. Casein contains a lot of branched chain amino acids (BCAA's) and very much - more than whey protein - L-glutamine, an essential amino acid very important in building muscles. Calcium caseinate - is characterized by the most steady release of amino acids into the bloodstream of all protein sources, and thus works best during the long breaks between meals. Slower digestion results that caseinate has properties more quickly than catabolic digested whey proteins, and the use of amino acids of the protein night work is more efficient. Papain - an enzyme obtained from the papaya fruit, similar to that of pepsin in the body, is involved in the digestion of proteins, especially those of vegetable origin. Bromelain - natural digestive enzyme present in m.in . : pineapples. Is involved in the breakdown of proteins into amino acids. L-glutamine - the most commonly occurring in the body an amino acid that plays a number of very important functions: alters the filling process, glycogen by increasing the rate of its synthesis in the liver, as well as by direct conversion to glucose positive effect on the rate of protein synthesis and reduces their disintegration, It strengthens the immune system and prevent diseases that could hinder the training plays an important role in the process of transamination (to the synthesis of new amino acids) is converted into glutamic acid constituting a source of energy for the nerve tissue and perform a number of other important but less significant from our point vision programs. L-Taurine - helps regulate blood sugar levels, exerts anti-catabolic (reduces protein breakdown), increases the concentration of nitrogen in the body and helps lower cholesterol. Very important is the fact that taurine stimulates the pancreas to secrete insulin. It does, however, other than glucose, thus reducing the risk of insulin resistance that leads to diabetes. This allows us to enjoy all the benefits of insulin - a strong anabolic - without worrying about our zdrowie.Wapń contained in 100% Casein Complex contributes to the normal functioning of muscles, proper metabolism and neurotransmission. Calcium is also needed to maintain healthy bones and teeth *. Included in product milk proteins are known as proteins complete because they provide the body with all he needs amino acids, 9 amino acids (Histidine, isoleucine, leucine, lysine, methionine, phenylalanine, threonine, tryptophan and valine), which the body is unable to finish synthesized . Our product also includes an additional L-Glutamine and Taurine plus digestive enzymes - Papain and bromelain. * These statements have been scientifically proven and confirmed by the European Food Safety Authority. Food Safety Authority (EFSA) and authorized by the European Commission (EC). Składniki: Mleczny kompleks białkowy (Koncentrat kazeiny micelarnej oraz kazeinian wapnia), proszek kakao o obniżonej zawartości tłuszczu (10-12%), dekstroza, aromat (czekoladowy), chlorek sodu, L-glutamina, tauryna, substancje słodzące (Acesulfam K, Suklaroza), Bromelaina pozyskana z Ananas comosus (1200 GDU/g), Papaina pozyskana z Carica papaya (1,5 FIP u/mg). Kupiłem duże opakowanie po przetestowaniu małej czekolady i nie żałuje - ten smak nie może sie znudzić, jest świetny! If you are looking for the highest quality protein snack, each serving delivers fast amino acids to your muscles - it will be the perfect choice! Hydrolyzed whey proteins guarantee the best amino acid profile of the BCAA and EAA amino acids, which are essential for rapid regeneration and development of muscle tissue! Put on world quality at a good price! Sensational bid on the basis of high protein whey protein isolate - the perfect choice for those looking to diversify diets or vegetarians! Refined taste and solubility. High-quality protein mix with different absorption kinetics. A high concentration of nutritious protein and great tasting! It supports the development of muscle and speeds up regeneration after training! An excellent source of amino acids in the diet. Economical high-protein nutrient with an interesting taste and good solubility.